The Bed and Breakfast is now closed until the end of the year and we are not yet taking bookings for 2018. 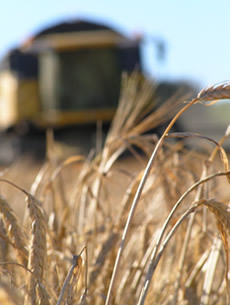 If you are planning to walk the South Downs Way we suggest you try The Bucks Head in Meonstoke or The George and Falcon in Warnford (accepts dogs). As part of ongoing diversification, the old farmyard has been converted into beautiful offices which occupy the old stables. 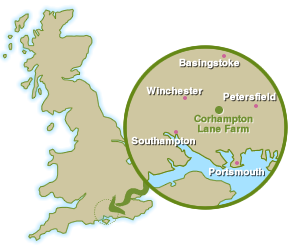 The Farm is situated in an Area of Outstanding Natural Beauty, close to the South Downs National Park and nestled between the historic cities of Winchester and Portsmouth. 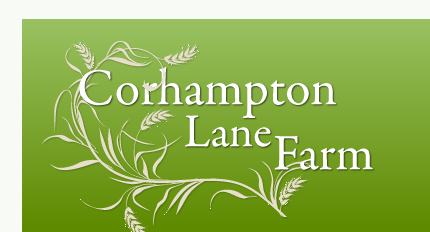 Corhampton Lane Farm is located on the B3035 less than a mile from the A32.